Vay Liang W (Bill) Go, M.D. 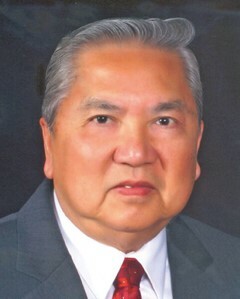 Dr. Vay Liang W (Bill) Go is a distinguished professor and the director of the Center for Excellence in Pancreatic Disease Research at the David Geffen School of Medicine at UCLA (Los Angeles, California). He is also editor-in-chief of the journal Pancreas and a co-founder of the American Pancreatic Association and the UCLA Center for Human Nutrition. His research has focused on the regulation of the exocrine and endocrine pancreas and gut-brain axis in health and disease, and he has expanded his work to nutrition and cancer prevention and the action of phytochemicals on pancreatic diseases. Dr. Go has authored and co-authored more than 400 peer-reviewed articles and mentored and trained more than 70 fellows in gastroenterology, nutrition, endocrinology, and pancreatology. He has been a professor of medicine at the Mayo Clinic and the executive chairman of the UCLA Department of Medicine, and has held several positions at the National Institutes of Health including director of the Division of Digestive Diseases and Nutrition at the National Institute of Diabetes and Digestive and Kidney Diseases and executive secretary of the federal interagency Nutrition Coordinating Committee in the Department of Health and Human Services. In the UCLA Center for Human Nutrition he was the associate director of the NCI-funded Clinical Research Unit, director of the Nutrition Education Program, and co-principal investigator of the NIH-funded nutrition curriculum development grants and the cancer prevention curriculum program. He received his internal medicine and gastroenterology training at the Mayo Clinic.